Today’s blog will focus on three verses of Scripture which clearly demonstrate the depth of the Apostle Paul’s understanding of the Gospel he preached to so many. It reminds us that this is the way we all need to see ourselves if we are going to live out in our lives what we profess with our lips. Paul understood the economy of God. He knew that the way to get is to give; the way to live is to die; and the way to go up is to go down. Let’s take a look at Paul’s Perfect Plunge. First, he wrote in 1 Corinthians 15:9, “For I am the least of the apostles, unworthy to be called an apostle, because I persecuted the church of God.” Paul started with his call. Called by God while he was on the road to Damascus, in hot pursuit of Christians to persecute, Paul stressed how undeserving he was to be an apostle of Christ. In acknowledging his absolute unworthiness to be so called, Paul took the first of three steps in his perfect plunge. Second, Paul wrote in Ephesians 3:8, “To me, though I am the very least of all the saints, this grace was given, to preach to the Gentiles the unsearchable riches of Christ.” Here is the second step in Paul’s perfect plunge: Paul was not satisfied to describe himself as “the least of the apostles,” so he went on to identify himself as the “least of all the saints.” He does not confine his unworthiness within his fraternity of apostles – that would give him “wiggle” room to think more highly of himself that he ought to. Paul is demonstrating his increasing awareness of his own self-absorbed, sin-filled life. Relying solely on the finished work of Christ for his acceptance by God. By acknowledging himself as the “chief sinner,” saved by the grace of Christ Jesus, Paul knew there was nothing he could do to make God love him more and nothing he could do to make God love him less! Clothed in the perfect righteousness of Christ, Paul knew God accepted him for Christ’s sake alone . . . or he was not accepted at all. It is only by the grace of God that we can see ourselves as Paul saw himself. Think about this for a moment. When Paul looked out at the people he was preaching and ministering to, his understanding of the Gospel compelled him to see himself as the most sinful and depraved person on the face of the earth. That he truly understood how great was the grace that had rescued him! This understanding compelled him to pour out his life to advance the cause of Christ. This is what the grace of the Gospel leads to… It is worth our life and ministry! … Rest And Rejoice In The Wonderful Truth! In our high tech / high speed world, we tend to be going so quickly that we can miss the little things that bring big blessings. When was the last time you to take in a sunrise? How about a walk along the shore with the waves gently washing over your feet? Perhaps a family meal without any outside distractions, like phones or TV? Finally! A word of wisdom that tells us there is more to life than increasing its speed! God has given us this gift of life to be enjoyed. Gladness is to fill the heart as much as food and drink fill the stomach. It will take us to a place we never intended to be. We all know what it is like to be living a life that is demanding, depleting, and even incredibly discouraging at times. That is why God has commended the enjoyment of life to everyone who is living it. And that includes you and me! There is great enjoyment to be found in the mundane moments of life, because there is a great God right in the middle of it. God is in the soothing sound of ocean waves, the refreshing smell of a cool breeze, and the unexpected greeting of an old friend. Life in Christ is for enjoyment, not enslavement! Joy will accompany us in our toil when our toil is being done for the glory of God. Sure, some days seem like they drag on forever, without any visible signs of fruit. We find ourselves careening from event to event . . . and we have countless bumps and bruises to prove it. But through it all, God says we are to enjoy the journey just as much as we look forward to enjoying our promised destination. Take a moment to think about some of the “little things” you may have been neglecting and missing out on. There really are no mundane and ordinary moments in life. Time is short! Life is fleeting. Eat, drink, and be glad – make the little things big – and joy will accompany you in all your toil throughout all the days of the life God has given to you. Today Americans commemorate all the men and women who paid the ultimate price to protect and defend our freedom while in the service of our great nation. Formerly known as Decoration Day, Memorial Day was officially proclaimed on May 5, 1868, and was first observed on May 30 of that year, when flowers were placed on the graves of Union and Confederate soldiers at Arlington National Cemetery. Memorial Day is now celebrated on the last Monday in May as an established time for our nation to honor those who gave their all for all of us. There was another who gave His all for all of us; His name is Jesus Christ. He gave more than anyone could ever give when He willingly and without reservation went to the cross on Golgotha’s Hill so that men and women would be set free from sin, Satan, and the judgment to come. Scripture declares this glorious truth: “God shows His love for us in that while we were still sinners, Christ died for us. Since, therefore, we have now been justified by His blood, much more shall we be saved by Him from the wrath of God” (Romans 5:8-9). Whenever Christians partake of the Lord’s Supper, it is Memorial Day, for our Savior commanded us to “Do this in remembrance of me” (Luke 22:19). Yet, every day should be a day of remembering for all those who were bought with the precious blood of Jesus. Every day is a time to remember the work of Christ, which was nothing less than an all-out assault against sin, Satan, and the judgment to come. Every day is a time to remember the work of Christ for people who were desperately in need of rescue and totally incapable of rescuing ourselves. Every day is a time to remember that every aspect of our existence is to be shaped by His claim on our lives. Remembering what Christ has done for us provides us with the ultimate purpose to go further up and further into the Gospel of grace. Every thought, every desire, every word, and every deed is to be shaped by the cross. Vertically our lives should be marked by a sold-out love for God and horizontally they are to be marked by a sold-out love for others. The grace we have received is designed to make us communicators and conduits of grace in the lives of others. Along the way, the King who has sought us and bought us gets all the glory. When I was young, I remember going to local carnivals and standing in front of those “fun house” mirrors that would stretch your reflection in odd ways. Some mirrors would make you look taller than you really were; others would make you look thinner than you really were; still others would make you look a whole lot fatter than you really were. In other words, they totally distorted the picture of the real you. Carnival mirrors are good for carnivals . . . but they are bad for Christians. Freedom is only found in the truth. Seeing ourselves in a distorted reflection of a carnival mirror of life may make us feel better for a moment, but it is not truth. It is an illusion. Only the Gospel can free us to see ourselves for what we truly are: sinners in constant need of our Savior. We don’t have to run from a painful past by distorting the present. We can simply rest in the truth of the Gospel that tells us each day that, regardless of our present circumstances in life, we are unconditionally loved and totally forgiven by faith in Jesus Christ. You see, the Gospel empowers the Christian to discard the distorted reflection we see in the carnival mirror of life and believe the true reflection we see in our Lord Jesus Christ. The Gospel is conforming us more and more each day into the image of Christ. Yes, I know that change often seems to be frustratingly imperceptible, but it is still the truth! We are free to win and lose. We are free to rise and fall. We are free to succeed and fail. We are free to laugh and cry. And one day, when we get to the other side of the grave, the work of the Gospel will be completed. We will be just like Jesus. We will have the mind of Christ. We will have the heart of Christ. We will have the hands and feet of Christ. So between now and that day when you are brought into your eternal rest, hold tight to the teaching of the Truth and you will be forever set free from the need to see yourself as something you are not. Jesus knows everything about you . . . and He still loves you! He knows your every thought, word, deed, and desire . . . yet not once has He forsaken you! So get rid of the carnival mirror and hold on tightly to the mirror of God’s Word. When you do, you will live the life of freedom that is only to be found in the Gospel. There is one thing we all have in common: BURDENS. Everyone who is still breathing is carrying burdens. But we are not called to carry them alone. Here we see a great blessing that can easily be missed: the blessing of shouldering up under the burdens of another. We can be so caught up in our own lives that we miss a ministry opportunity right in front of our noses. How often we are busy being busy and miss the blessing of burden-bearing in the life of someone who truly needs our help. The priest missed it . . . The Levite missed it too . . . But not the Good Samaritan. There are a few remarkable things in the Parable of the Good Samaritan. First, the two characters who should never have missed the blessing of burden-bearing were the priest and the Levite. Both knew the Law of God and what it required of them, yet both of them went out of their way to keep from helping someone in great and obvious need. Next we find the person least likely to respond appropriately (that is, biblically) was the Samaritan. Samaritans were a mixed race (unlike the priest and the Levite who were the pure descendants of Abraham) and they were generally despised by the Jews. To the priest, the injured man was problem to avoid. To the Levite, the injured man was an obstacle to get past. But to the Samaritan, the injured man was a person to come alongside of and shoulder up under the weight of his burdens. The priest missed the blessing; the Levite missed the blessing; but the Samaritan received the blessing of burden-bearing in the life of a complete stranger, treating him like a neighbor. He bore the impossible burden of the Law’s demands. He bore the horrific burden of the Cross. He bore the unimaginable burden of the wrath of Almighty God. He bore these burdens for you. I like to cook. Kay and I work as a team in everything we do, including sharing the duties in the kitchen. Kay has collected a lot of great recipes over the years. The problem is, I am not like my mom or Kay. I always need the recipe to make sure I have measured out the right amount of ingredients. If I make a mistake on those measurements, or use the wrong item, I mess up the meal! There is a measurement mistake that does more than mess up a meal. It messes up your entire life! In the parable of the Pharisee and the tax collector, both men measured themselves. The Pharisee made the mistake of measuring himself against other men. His sin was the sin of comparison, rooted in religious pride and self-righteousness. – His name is Jesus Christ. Ever wonder why the Pharisee measured himself against robbers, evildoers, and adulterers, and “even . . . this tax collector?” Because he was sure he would measure up against them and come out on top . . . as opposed to measuring himself against Moses, Abraham, Isaac, Jacob, or David. How often do you do the very same thing? It is not about our merit and measuring up. It is only about God’s mercy. The tax collector called himself the sinner. Unlike the proud Pharisee who could not see or sense his own sin, the tax collector was personally, profoundly, and painfully aware of his own sinfulness. It’s important to note the tax collector did not rattle off a long list of his many sins and ask forgiveness for them. Instead, he pleaded for forgiveness, because he knew he was a great sinner and in need of an even greater Savior. One more thing to reflect on is the honesty of the Pharisee in listing all the “good” he was doing. He really did fast twice a week and tithe. He was very religious, not only in following the letter of the law, but going beyond the letter whenever possible. But in what he didn’t do. He did not acknowledge God’s grace in all of his “good works,” but instead took credit for it. He did not see his need for a Savior because he was saving himself. The tax collector “smote his breast” in repentant sorrow, but the Pharisee thumped his own chest in self-righteous confidence: “I do this,” he purred contentedly, “and I do that.” He had completely forgotten – or perhaps he never knew – that “We are God’s workmanship, created in Christ Jesus to do good works, which God prepared in advance for us to do” (Ephesians 2:10). So who do you most closely relate to in the story? The tax collector? Or the Pharisee? How would those closest to you answer? Only when we see ourselves as the tax collector, who believed he was THE sinner, do we begin to understand the Gospel in all of its glory and begin basking in the grace of God. The next time you inclined to compare yourself with someone else, look up . . . instead of out! Then fall to your knees and thank God for His amazing gift of grace, nailed to a cross on Golgotha’s hill a little over 2000 years ago. The One who hung there had your name written on His heart. He became “the sinner” . . . in your stead and in mine. On a scale of 0 – 10 (with 0 being “non-existent” and 10 being “breathtaking”), how would you rate your daily experience of the peace of God? If you are like most of us, the number probably fluctuates throughout the entire range as you go through your week. Today’s word of encouragement is dedicated to helping us all crystallize our own “personal peace plan” in order to maximize our daily experience of the peace that passes all understanding that God promises to us in Scripture. If you are a student of the Scriptures, you are probably quite familiar with these verses. I certainly have preached on them and prayed through them more times than I can count. Yet how often I still find myself needing to lay hold of this promised peace! How often I find myself being delivered by God’s mercy and still doubting God’s might, as if He cannot handle what I am currently going through. These are the times when I need another dose of Gospel sanity to slay the dragon of doubt. To be sure, the God who created order and beauty out of chaos can surely meet my need for personal peace, regardless of what I may be facing. And the passage from Philippians provides us all with the only personal peace plan that really works. The key to crushing our anxiety about anything is found in the truths of the Gospel, and not in the bottom of a bottle . . . or a package of pills . . . or the countless other ways we try to dull our distresses in life. That is why we must remember the Gospel every day – and not just daily, but moment by moment. The Gospel frees us, by prayer and petition, with thanksgiving, to boldly come before the throne of grace and come face-to-face with the living God. He invites us to “approach the throne of grace with confidence, so that we may receive mercy and find grace to help us in our time of need” (Hebrews 4:16). In Christ we are granted access to the One who created all things and sustains all things; in Christ we are handed the key that unlocks the door leading to the pathway of peace. Anxious about your finances? Pray with thanksgiving and present your requests to God. Unsettled about your career path? Pray with thanksgiving and present your requests to God. Disillusioned about your parenting? Pray with thanksgiving and present your requests to God. Stressed in your singleness? Pray with thanksgiving and present your requests to God. Worried about prodigal child? Pray with thanksgiving and present your requests to God. Overwhelmed by obstacles in your opportunities? Pray with thanksgiving and present your requests to God. You may ask, “What am I to remember about my position?” The answer is that if you have trusted in Christ’s atoning work on your behalf, you are a saint – literally, one who has been set apart for God. You are a child of the Most High God! Remembering that each day will go a long way toward conquering your anxiety . . . and anything else that threatens your peace. The Christian cover-up, however, is something altogether different. It is living out the Gospel by covering (forgiving and forgetting, rather than repeating and putting on display) the wrongs, faults, or sins of another. And this is something we need much more of in the church today! I want to be clear about my meaning here: I am not talking about hiding some sin or offense that must be exposed in order to protect the health, safety, and spiritual well-being of others. Proverbs 17:9 does not suggest anything of the kind! Indeed, what we are being taught is a Christian cover-up that advances the cause of the kingdom and blesses those who belong to it. Instead of rehashing old sins that have been committed against us, we are to “cover” them with forgiveness. Instead of informing others of someone’s offense in order to pay the offender back for his or her wrong, we are to cover them with love that builds up. How often we cover up our refusal to cover the faults and sins of others under the guise of seeking prayer for them. Far too many Christians use this technique to engage in the sin of gossip. The Gospel frees us from the need to pay back or get revenge. We know that our Lord has used a redemptive cover-up in our lives by forgiving every sin – past, present, and to come. Our sins are covered in the blood of the Lamb. And not only that, but in the process He has forgotten every one of them! God never brings our past iniquities back up to the surface after He has hurled them into the depths of the sea. The Bible says in Micah 7:18-19 – “Who is a God like You, pardoning iniquity and passing over the transgression of the remnant of His heritage? He does not retain His anger forever, because He delights in mercy. He will again have compassion on us, and will subdue our iniquities. You will cast all our sin into the depths of the sea.” God never shoves all the times we messed up into our face after He has put all those sins behind His back (Isaiah 38:17b), never to be seen again. When we placed our trust in Christ as our Savior, The blood of the Lamb of God, which takes away all the sins of all who place their trust in Him, has not only covered up all of our sins, but has carried them away forever . . . just as the scapegoat described in Leviticus 16:8-20 was sent out into the desert, never to be seen again. Our Lord never dredges up all of the times we have fallen short of the perfect mark of holiness set before us (Matthew 5:48). The Gospel frees us from our past and the Gospel frees us from bringing up the past of others. This is the Christian cover-up we could all use a little more of each day! Younger baseball fans may not immediately recognize the name of Yogi Berra, who was a star catcher for the New York Yankees from 1946-1963. But who among us has not enjoyed one or more of Yogi’s delightful sayings? The 18-time All-Star is credited with uttering such gems as . . .
We have all suffered our losses and carried our crosses. But, because the battle is the Lord’s (1 Samuel 17:47), we must never forget that victory is assured “at the last.” The Bible says in Genesis 49:19, “Gad, a troop shall overcome him: but he shall overcome at the last.” The tribe of Gad knew this truth by way of personal experience. There was a time when the adversary was too powerful and gained the upper hand in battle against Gad. But in the end, victory was promised to the tribe of Gad, and God delivered them (1 Chronicles 5:18-20). Do you know this truth in your own life? There are many times when we may believe that we have been overcome by our adversaries. Jesus Himself told us that trouble would be our constant companion in this life (John 16:33 – “These things I have spoken to you, that in Me you may have peace. 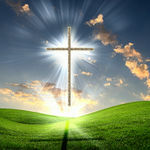 In the world you will have tribulation: but be of good cheer, I have overcome the world.”). It should come as no surprise to any of God’s people when adversity attacks us and gets the upper hand. But we must never forget the last words of today’s verse from Genesis: we will triumph “at the last!” It has been observed, “All’s well that ends well,” and the triumph at the end is guaranteed to the Christian every bit as much as the trial in the beginning. What difficulties are you facing today? What adversaries are coming up against you in your personal and public life? Don’t be surprised when the enemy gets the upper hand from time to time; this has been promised to the people of God. But never forget that “at the last” – and nothing comes after “the last,” for it is the end – your victory is assured. Our Omnipotent God will make good on it in your life! Perhaps one of the best ways to look at life is to view it as a marathon race, not a sprint. In a sprint, one misstep can cause us to lose the race. But in a marathon, our adversaries may be getting the best of us for a time, but in the end, when we have come to the end of our race, we will receive the crown of glory, which has been promised to us by the King of glory (1 Peter 5:4). Patient, faith-filled endurance is the key to getting through all the trials you are currently enduring. There was a time when the world believed it had gotten the best of Jesus. They tried Him in a kangaroo court. They condemned Him to death, even though His judge declared that Jesus had done nothing to deserve death (Luke 23:15). They beat Him until he was unrecognizable (Isaiah 52:14). They jammed a crown of thorns into His head. They nailed Him to a cross. They laughed and mocked Him as He hung there. They buried Him in a tomb that was sealed shut and guarded by Roman soldiers. The day that Jesus died was, in the eyes of the unbelieving world, a day of great victory; finally they had rid themselves of the One called Jesus the Christ. He was dead and buried. But at the last, on that Resurrection morning, a dead man got up and walked out of the tomb. Jesus triumphed at the last, and so shall you, regardless of what it is you are facing today. You cannot give to others without receiving yourself. This is an encouraging biblical truth. Think about that promise for a minute – a generous person will indeed prosper, and whoever refreshes others will be refreshed. You have His Word on it! Now, we should never give, serve, and help others because of what we will receive in return. We already have everything because we have Jesus. Yet, the biblical principle stands firm – you simply cannot give without getting. I like to call it “The Believer’s Boomerang,” because the gift keeps coming back to the hand that released it. which teaches that it is always the will of God to prosper His people with both financial and physical blessings in response to their financial donations, visualization, and positive confessions. In a word, this kind of teaching is IDOLATRY; the believer would be using God to reach a desired goal or end. It is a fact, God does proper His people with countless blessings – financial, physical, and spiritual – but He is never obligated to do so. God’s blessing is never a result of His people using God to bring about a desired blessing. This would be like putting God on a leash and leading Him where we want Him to go. It would be binding the conscience of God and manipulating Him to do what you want Him to do for you. This thinking is entirely unbiblical and utterly wrong! Here is what the above verse is talking about. When we give, serve, and help, simply because of the sheer joy of giving, serving, and helping – to love others because God first loved us – the Lord will return to us blessings multiplied. You cannot give without getting in return . . . when you are giving for the right reasons. And do you know who it is that gives for the right reasons? Know what they already have been given in Christ! No finite mind could ever begin to comprehend the depths of the truth of those words. God has blessed us with every spiritual blessing because we are in Christ. Unlike our temporal blessings, which we will one day leave behind, these spiritual blessings will stay with us throughout eternity: our forgiveness . . . our acceptance . . . our adoption . . . our divine dwelling place in heaven. I could write an entire article about those blessings which will never fade away. One final point on The Believer’s Boomerang: At the deepest level, the simple act of giving IS the greatest blessing, because in that act of selfless giving, we are most like our Lord.